Stock #1282:Princess cut 14k Gold Antique/Scroll style. These Beautiful Russian CZs are more precisely cut & polished from the finest CZ crystals. Nice upgrade from "standard" studs!!! 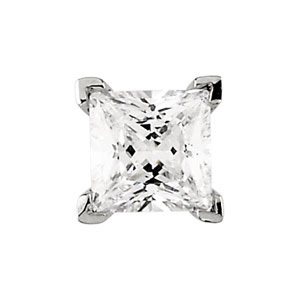 Available in 1ct, 2ct and 3ct Stones. It also has an amazing matching pendant see item #1898.